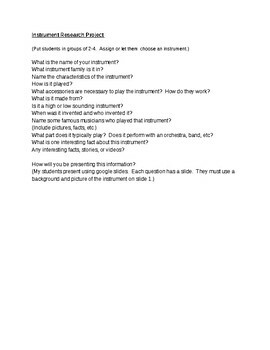 Do you need a quick go to list of questions for students to research instruments? Look no further. Enjoy! Feel free to email me with any to add.